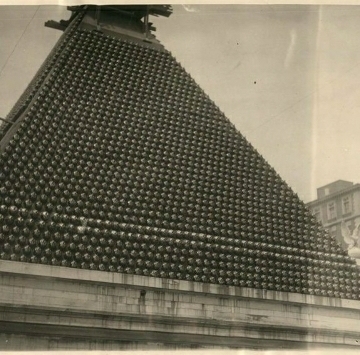 This picture shows employees of the NY Central Railroad celebrating the allies victory in WW1, showing off a pyramid of recovered German helmets in front of Grand Central Terminal. 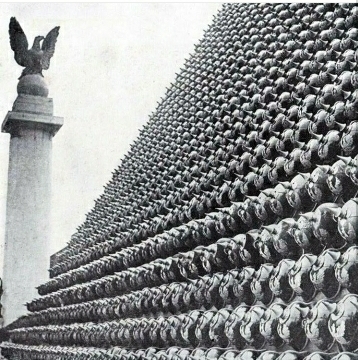 There were over 12,000 German Pickelhaubes on the pyramid, sent from warehouses in Germany at the end of the war. 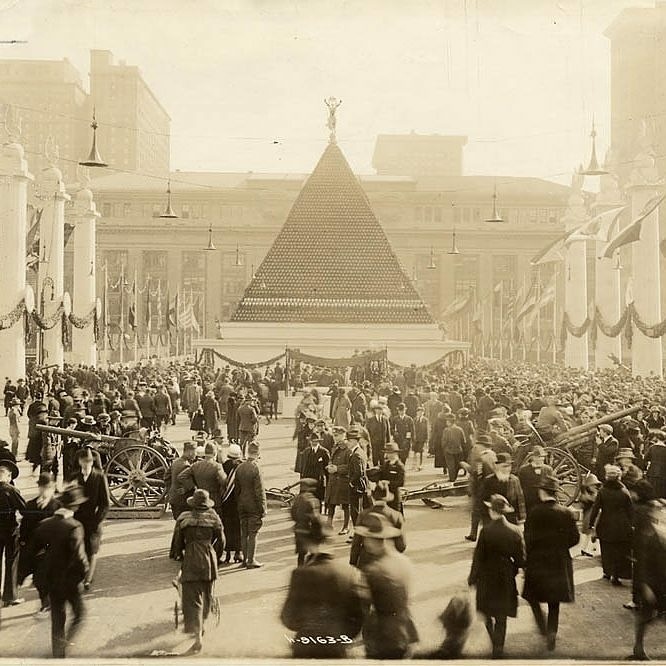 Victory Way was set up on Park Avenue to raise money for the 5th War Loan, and a pyramid of 12,000 helmets was erected at each end, along with other German military equipment. There’s a hollow supporting structure underneath the helmets. The figure that was placed at the top of the pyramid is still subject to speculation, some believe that it’s Nike, the Goddess of Victory. There’s also two cannons located at the left and right of the helmet pyramid.